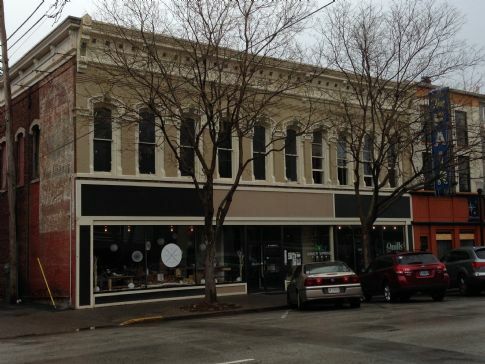 In February 1891, Frank Losson purchased several lots for $5640; by July, construction was underway on this $7000 brick and limestone building with a pressed metal cornice. By 1892, C. C. Brown, "the Tailor" was located here. The photo at the right below was taken around that time and shows his signs on the building. 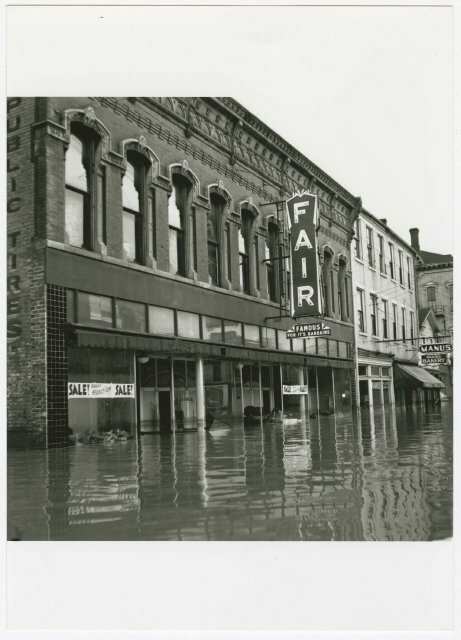 The two other photos, from the collection of the Indiana Room at the New Albany-Floyd County Library, show the building during the 1937 flood and this block of Market Street circa 1950. The building remained in the Losson family until 1939, at which time it was purchased by Charles Slung. 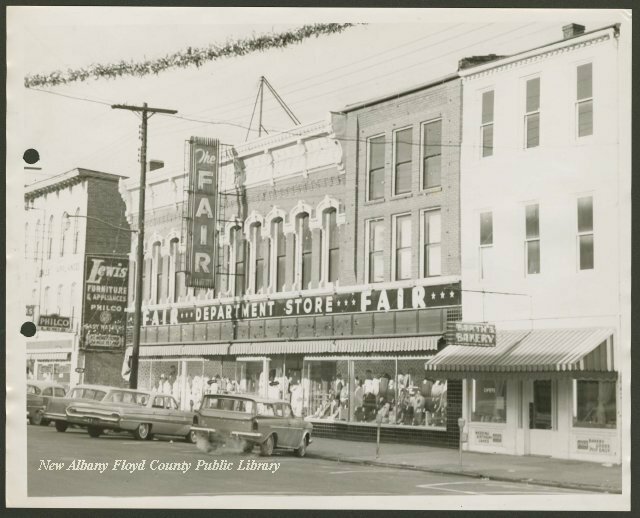 Slung, the owner of the Fair Store, had already had his business here for a number of years before purchasing the building. The Fair Store remained a popular clothing store and center of downtown retail activity until closing in July 1989.